You are here: Home / Discover the Island / Lanzarote, a unique island to discover! Administrative breakdown: Seven municipalities: Arrecife (the capital), San Bartolomé, Tías, Tinajo, Yaiza, Haría y Teguise. Lanzarote was formed by the effect of geological events consequent to the opening of the Atlantic Ocean. It has been calculated that some 11 million years ago, lava emissions began to reach the surface. This Atlantic Ocean island is located some 86 miles [140 km] off the northwest coast of the African continent. 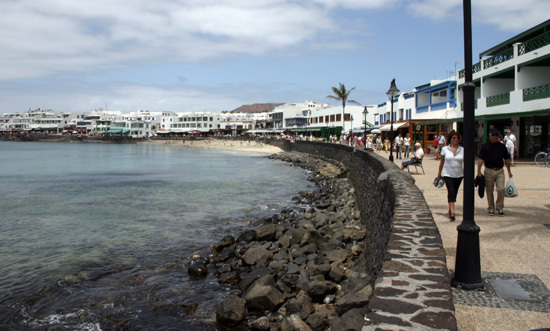 Lanzarote is one of the seven islands that make up the Spanish autonomous region of Canarias. 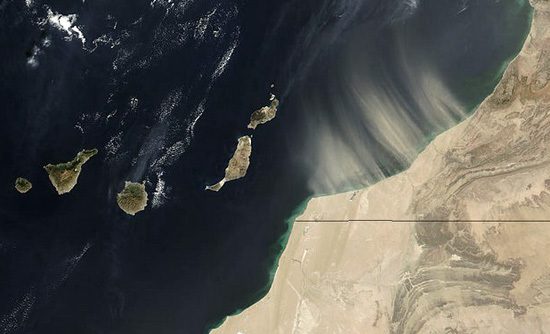 The first people to populate the island came from northern Africa. Known as the majos, their arrival on the island has been thought to have happened in 500 AD. The Castilian monarch began their conquest of the Archipelago in 1402. Lanzarote was the first island to be occupied by the Spanish. More info. 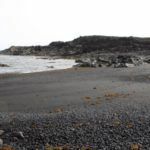 The island’s climate is defined as subtropical and dry or semi-desertic. Thanks to the moderating effect of the Atlantic, temperatures are quite moderate. There is no major shift in temperature between seasons. The average annual temperature hovers around 68º F. The coolest day in 2008 was in December (63º) and the warmest was in August (77º). Last year the average temperature was 71º. Annual precipitation generally doesn’t go over 26 gallons per square foot. In 2008, it rained 48 days out of the whole year. More info. 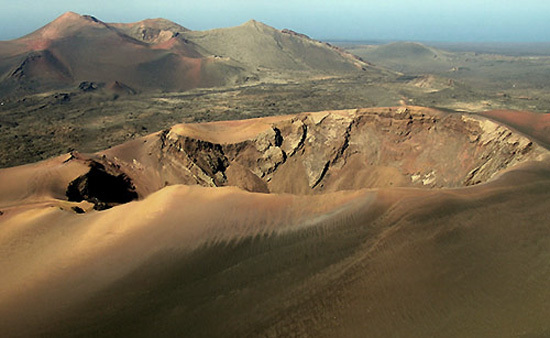 Lanzarote was named a UNESCO Biosphere Reserve in 1993. Some 43% of the island is protected territory. Standing out among these protected lands are the 25,100 acres of Volcanos Natural Park [Parque Natural de los Volcanes], and the more than 75,000 acres that make up Los Ajaches Natural Monument. The Chinijo Archipelago receives scientific accolades as a true natural wonder. 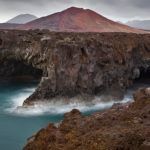 This archipelago is made up of the politically-independent islets of Alegranza, La Graciosa, Montaña Clara, Roque del Este and Roque del Oeste; located one mile off the northeast coast of Lanzarote, these islets are rich in biodiversity, especially in their marine environs. More info. The rich and lush landscape of the island is matched with a meticulous level of conservation. The variety of natural features enhances and enriches a moment of contemplative curiosity. The powerful combination of colours of the lava scattered about Timanfaya, the vineyards masterfully cultivated from a layer of ash blanketing La Geria, the majestic silhouette of the Famara cliff with its miles-long beach emerging from the valley, the colony of cacti populating Guatiza and Mala, and the violence of the sea crashing against the small and sporadic coastal cliffs, all make an appearance in the photo album of the millions of Lanzarote visitors. 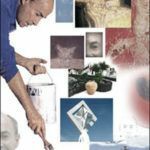 Art Centres, Culture and Tourism. Tourism has come to be a vital part of the island. The huge transformation which started during the late 1960’s, leaving behind a history of emigration, poverty and scarcity, resulting from a dependence on subsistence agriculture and fishing, is owed to Lanzarote’s progressive inclusion in the Western tourism market. Today, more than one and a half million travellers visit Lanzarote each year. All residents, be it directly or indirectly, depend on this sector of the economy. 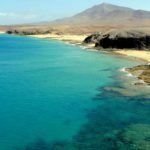 The tourist areas are organized into three clearly differentiated zones, situated on the eastern coast of the island, forming an axis with the capital city, Arrecife, and the Airport: Playa Blanca (to the south), Puerto del Carmen (central-south) y Costa Teguise (central-north). Despite the energy typical of a mass tourist destination, these developments have managed to maintain the relaxed Lanzarote atmosphere. All in all, Lanzarote is a tranquil island, where the days are peaceful and time seems to move just a bit slower. Lodging options include hotels and apartment complexes. 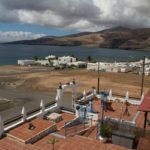 The most modern of tourist enclaves is Playa Blanca, while Puerto del Carmen and Costa Teguise are older developments, which are in the beginning phases of an infrastructural refurbishment. In total, according to data from the Cabildo, Lanzarote’s highest administrative authority, there is a total of 63,000 beds among Lanzarote’s hotel offerings. The rest of the island complements nicely the leisure options for tourists, with an itinerary clearly identifiable in the Centres for Art, Culture and Tourism conceived by the island’s best-known artist, Cesar Manrique, offering a series of architectural features that really allow the observer to take in the natural and environmental beauty of the island. 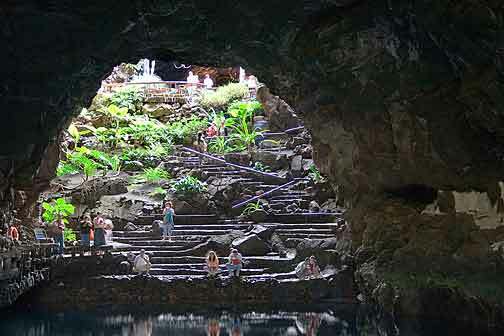 The Timanfaya visitor will learn quite a lot about local volcanic features, all resulting from eruptions in 1730; Jameos del Agua or Cueva de los Verdes offer spectacular underground caves, ripe for exploration. For the lover of sun and sand, the Lanzarote coast offers some exquisite spots for bathing. 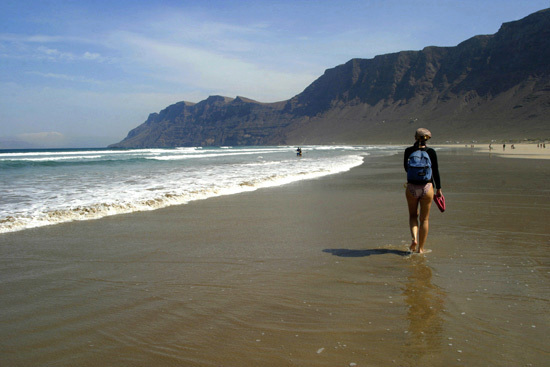 Famara and Papagayo really stand out for their beaches, and for catching some rays, Los Charcones and Barranco del Quiquere are great spots. The abysmal public transport system requires tourists to depend on a car to move around the island. 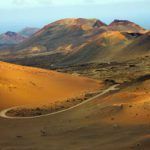 It would be basically impossible to get to know the main routes of Lanzarote without a car. The network of island highways is quite small. The main artery spans the distance from Arrecife to Playa Blanca. Secondary roads branch out from the main highway towards the north, south and west of the island. The longest distance, from Playa Blanca (southernmost point) to Orzola (northern extreme), can be covered in about one hour. Traffic can be quite heavy, because of the lack of public transportation. Lanzarote is connected to the other islands and mainland through four ports. 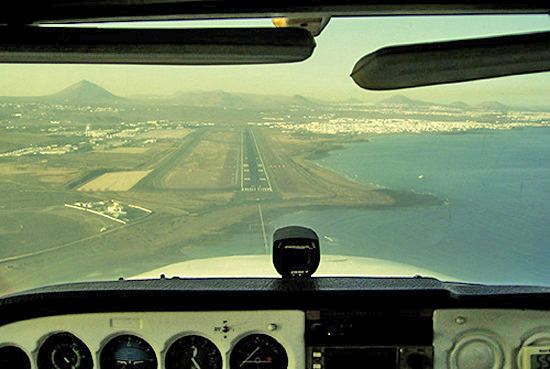 The Airport, located in Playa Honda, very close to Arrecife and the three tourist areas, and the Arrecife ports, Playa Blanca (whose main destination is Corralejo on the neighbouring island Fuerteventura) and Orzola (that’s the only place where visits to the breathtaking Chinijo Archipelago start from). Arrecife and the three tourist areas are supplied with services of every kind, including banks, sanitary facilities, Spanish and Canary Island governmental offices, athletic grounds and large shopping centres. Cultural manifestations in Lanzarote are shaped by the island’s history of agriculture and fishing, as well as the presence of many different cultures on the island through the years. Local folklore has its own particular musical tradition encapsulating a variety of rhythms and sounds based on isas, folias, polcas and malagueñas. 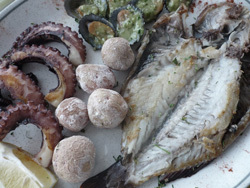 The culinary world is sustained by the sea’s bounty, with plenty of fish and seafood on offer. Local dishes include the sancocho fish soup, the ropa vieja shredded beef stew, fish stew, octopus cocktail and, among others, dried cod strips called tollos, and a potato dish called papas arrugadas with mojo sauce. Mojo is a traditional sauce with cilantro or red pepper used to flavour potatoes and fish. Furthermore, island-grown products abound, especially non-irrigated crops. Especially well-known are onions, sweet potatoes, potatoes, lentils and squash, as well as millet and corn. As far as meats are concerned, goat meat consumption on the island is considerable. The meat of the kid, called cabrito or baifo is consumed in many different ways during important celebrations, including Christmas. Goat’s milk and cheese are also traditional delicacies. The local gastronomy cannot be fully understood without special mention of the wines produced with the grapes cultivated on these dry lands. The island’s wines have their own label: DOL, or Lanzarote Denomination of Origin . The largest festival on the island is celebrated in the municipality of Tinajo on September 15th, in honour of the patroness of Lanzarote, la Virgen de los Dolores [Our Lady of Sorrows] or de los Volcanes [Our Lady of the Volcanoes]. 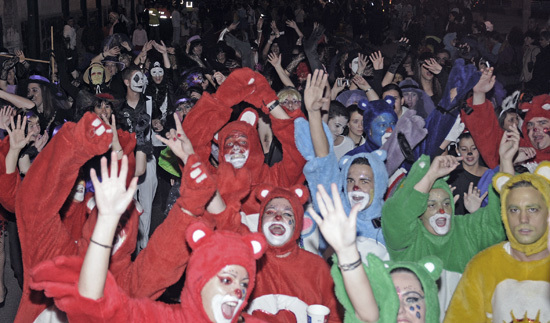 Locals from all over the island, dressed in traditional Lanzarote costumes participate in this annual pilgrimage. Countless devotees come from other islands of the Archipelago directed to the chapel of Mancha Blanca, in Tinajo, which becomes a centre for traditional Canary Island culture for several days. The traditional Island Handicraft Festival and the Nanino Diaz Cutillas Folk Festival, attended by artisans and organizations from across the seven islands, highlight the importance of the Virgen de los Dolores festivities for all the Canary Islands. More info. Other important festivals on the island’s calendar include: patron saint festivals for the island’s Capital, Arrecife, in honour of Saint Gines the Bishop (first three weeks of August); Saint John’s festivities (the night of June 23rd and 24th), which the islanders celebrate with spontaneous bonfires and night time dips in the ocean; festivities in honour of the Virgin of Carmen (mid July), patroness of seafarers, celebrated in various costal spots around the island with impressive marine processions; other celebrations are los Remedios in Yaiza or the pilgrimage and procession to the chapel of Las Nieves, in the highlands of Famara (beginning of September).